The Southern French Alps covers the area below Grenoble down to Provence and we have focused in on certain parts of this beautiful and undiscovered part of the Alps for our holidays! 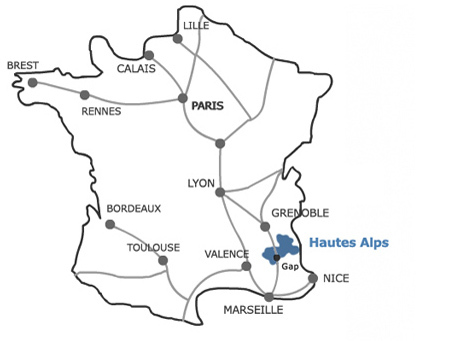 The French department that encompasses the majority of this area is called the Hautes-Alpes. It includes the Ecrins National Park, the Serre-Poncon lake and the little known Champsaur, Valgaudemar, Dévoluy and Gapençais valleys. 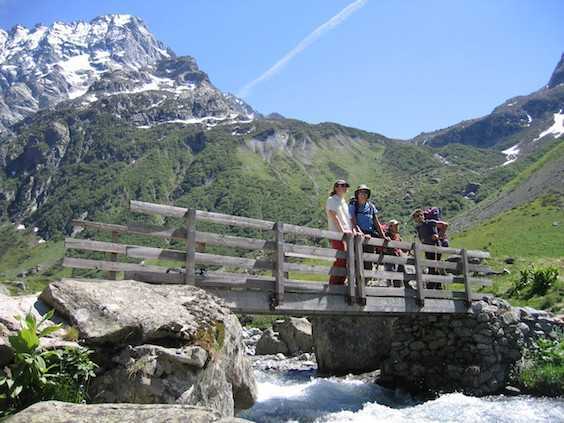 It is a beautiful part of the French Alps, its main claim to fame being the fantastic weather with 300 days of sunshine per year and access to one of the most dramatic nature reserves in the Alps - the Ecrins National Park. Unlike many other parts of the Alps, this area is still relatively undiscovered to foreign tourists and as such is still a very authentic French alpine destination. The Champsaur is a beautiful open valley that gradually becomes steeper and narrower as you venture further into the mountains. It's home to a collection of stone villages and hamlets, whose traditions are still very much alive today uniting agriculture with local tourism. In the Alps, the last remaining example of 'bocage' - a criss cross of hedgerows marking field boundaries, can be found in the Champsaur. Adjacent to it is the Valgaudemar, a deep 30 km long valley winding through the feet of the enormous 3000m plus rocky giants of the Ecrins. You'll see waterfalls and mountain torrents, towered over by sheer rock faces and high summits abundant with a variety of wildlife. Opposite is the Dévoluy valley, a dramatic limestone massif with caves and the Pic de Bure mountain which, thanks to its clear, unpolluted skies, is home to one of two space observatory stations in the world. Further south is the Serre-Poncon Lake, the largest dammed lake in Western Europe and famed for its beautiful turquoise blue waters and spectacular mountain backdrop. The capital city of the Hautes-Alpes is Gap, the sunniest city in France! It is a pretty provençal style city with a cathedral, lots of small lanes and boutiques, squares with cafés and a dramatic mountain backdrop including the world famous climbing cliff of Céüse. The area is rich in wildlife with golden eagles, griffin vultures, ibex, chamois, mouflons, wild boars, plenty of marmots, wolves and even lynx now colonising the area. There are over 60 species of wild orchid, a huge variety of bulbs like wild daffodils, and tulips, high altitude plants like génépi, wild fruits; raspberries, strawberries and blueberries and a whole range of other plants, berries and fruits that we don't know all the names of!